Born in Georgia in 1923, Coachman liked to run. She ran everywhere — barefoot. But she couldn’t train as an athlete: she was not only female, but she was black, and lived in the south. Yet she got so good that the Tuskegee Institute in Tuskegee, Ala., offered her a college scholarship. She was only 16. There, she dominated AAU competitions, winning 10 consecutive U.S. titles in the high jump, and won the nationals in the 50, 100, and 400-meter relay. Coachman tried out for the Olympics, and was accepted in 1940, but the 1940 Olympics were canceled due to World War II; the same thing happened in 1944. By 1948, at 25 years old, some thought she would be past her prime, but she was the only American woman to win a gold medal in those London games, breaking the Olympic record in the high jump with a 5’6″ leap — the first black woman ever to win an Olympic gold. She returned to her hometown of Albany, Ga., where the mayor held a ceremony to welcome home their local heroine. Blacks sat on one side of the room, whites on the other; the mayor refused to shake a black woman’s hand, even a local heroine’s. Coachman later said she won the medal as an American, not as a black woman. Coachman, at the 1948 Olympics. Despite such racism, Coachman became the first African American to get a corporate endorsement deal — from Georgia-based Coca Cola, in 1952. She inspired a generation of black athletes; the first black African to win Olympic gold (Ethiopian Abebe Bikila, who won the marathon barefoot) didn’t come along until 1960. (The first black Olympic athlete was Constantin Henriquez de Zubiera, who competed for France in 1900. The first male black athlete to win a gold medal was American John Taylor, in 1908.) Coachman was inducted into nine halls of fame, including the National Track & Field Hall of Fame (1975) and the U.S. Olympic Hall of Fame (2004). 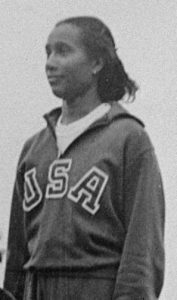 In 1992, Albany State University initiated the annual Alice Coachman Invitational track meet, and at the Atlanta Olympics in 1996, she was named one of the 100 greatest Olympians ever. 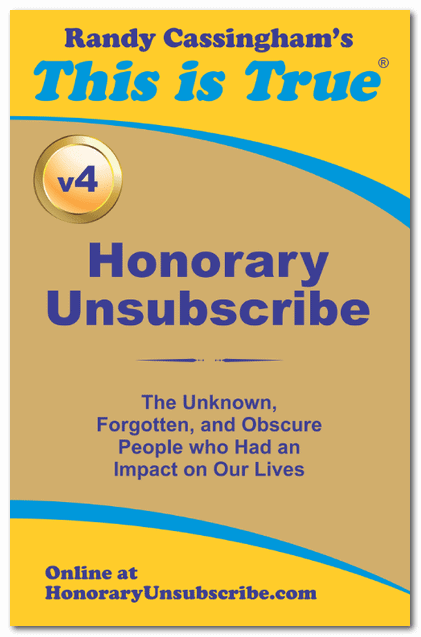 She died July 14, after suffering a stroke in April. She was 90.